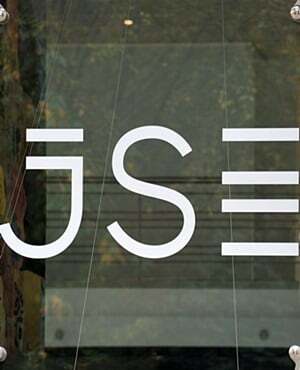 The JSE traded mostly flat on Thursday as gains recorded on the financials were offset by losses recorded on the resources index. The ongoing trade talks between the USA and China continue to dominate global market sentiment, and this was more evident today with the release of Manufacturing PMI data from key markets such as Germany, the Eurozone and the USA which came in worse than anticipated. This further highlights the importance of these talks to global trade and ultimately global growth. The US dollar weakened against a basket of major currencies as indicated by the US dollar index in earlier trade. This was due to the sentiment surrounding the USA’s ISM Manufacturing data release. As a result, the rand rallied to a session high of R13.87/$ along with other emerging market currencies. However, the gains were short-lived because the US dollar recouped all its losses to trade firmer on the day. At 17:00, the rand was trading 0.01% weaker at R14.01/$. On the JSE, financials were lifted when the rand firmed which saw stocks such as ABSA Group gain 3.65% to close at R177.03, Nedbank [JSE:NED] added 1.49% to end the day R289.00, and Standard Bank [JSE:SBK] closed 1.81% firmer at R194.00. African Rainbow Minerals [JSE:ARM] was one of the day’s biggest gainers after the stock recorded gains of 6.19% to close at R4.29. Listed property stock, SA Corporate Real Estate [JSE:SAC] added 4.25% close at R3.68, while Intu Properties [JSE:ITU] recouped some of the previous session’s losses to end the day up 4.51% at R20.40. Anglo American PLC [JSE:AGL] released a decent set of full-year results which indicated moderate increases in revenue and reduction in net debt. The stock closed 0.53% firmer at R366.96. Sibanye Stillwater [JSE:SGL] retreated on the back of the release of its half year financial results which highlighted a decrease in basic earnings. The stock lost 3.96% to close at R15.05. Lonmin [JSE:LON] also struggled as it fell 6.22% to close at R12.67, while Gold Fields [JSE:GFI] lost 3.67% to close at R57.80. Most of the miners traded weaker on the day which saw BHP Group [JSE:BHP] lose 1.57% to close at R326.41, while Glencore [JSE:GLN] closed at R55.06 after dropping 2.03%. Rand hedge, British American Tobacco [JSE:BTI] weakened by 1.31% to end the day at R514.70. Woolworths [JSE:WHL] was dragged by the weaker earnings recorded in its half-year financial results which saw the stock close 2.91% lower at R43.05. The JSE All-Share index eventually closed 0.09% weaker, while the JSE Top-40 index shed 0.1%. The Financials index stood out as it gained 1.38% on the day, however the Resources and Industrials indices shed 0.98% and 0.43% respectively. At 17:00, Palladium was 0.73% weaker at $1478.27/oz, Platinum was up 0.07% at $828.04/oz, and Gold had lost 0.56% to trade at $1330.88/oz. Brent eased mildly following speculation of higher US crude oil inventories recorded over the past week. The commodity was trading 0.03% weaker at $67.06/barrel just after the JSE close after having traded mostly weaker on the day. At 17:00, Bitcoin was down 0.58% at $3998.80/coin, while Ethereum had lost 1.47% to trade at $146.96/coin.